Having twins is a great joy, but it usually doubles the work. The journey of finding a perfect stroller for them is similar to buying a car. You look at the specifications and features, how it drives and handles and if you can sit in it comfortably and enjoy the ride. 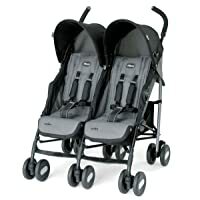 Check my Chicco Echo Twin Stroller Review to have a better view of this product. A stroller is the closest thing to a convertible that children will not experience until they are much older, so I felt that they deserved a good ride. Chicco is an Italian brand for baby care products. It was suggested to me by our Italian friends and I first though they are just trying to push me into buying something from their homeland. But if I keep looking at strollers like cars, I’m onto something good here. Italians did invent the Lamborghini and Ferrari and cars don’t get any better than that. So, I checked out Chicco and found one of their latest stroller products. The reason I chose this stroller is because the particular model is foldable. 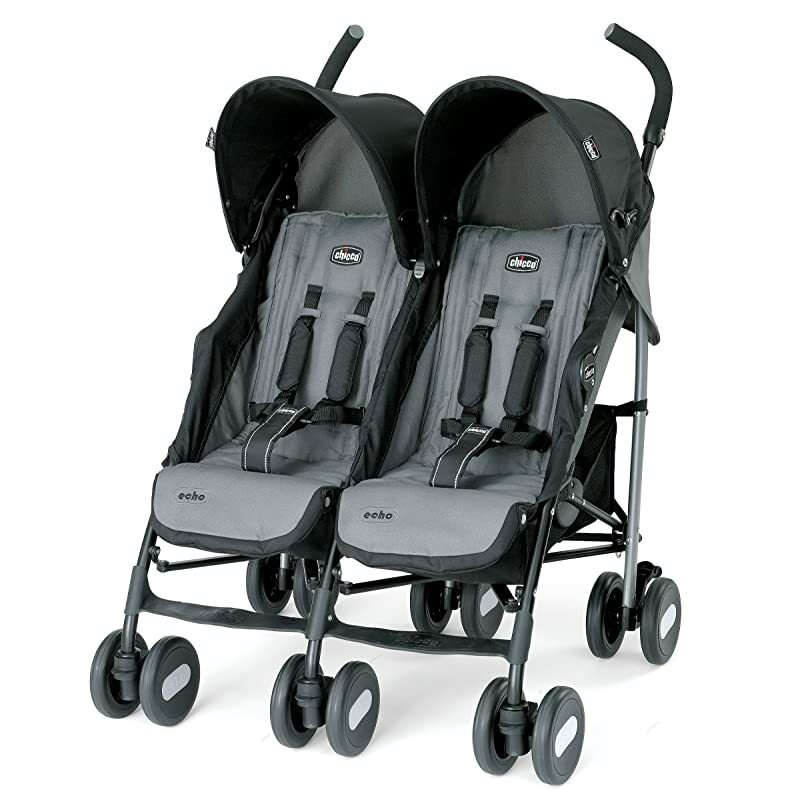 First of all, twin strollers are double the size of a regular one, which means they occupy twice the space. I like practical things, and knowing that I can comfortably place the stroller in the back of my car and drive my kids to the park (we don’t live close to one) made me choose a foldable model. The seats, however, are not fully foldable so to say. You cannot recline them in a flat position for your kids to lie down. Luckily, my kids like to sit up and watch the surroundings when we go out, and they do recline to an extent that allows them to lean back and rest if they want to. What I also liked about them was that the front wheels had a lock, so they won’t jerk left and right when you stroll over some rougher terrain. It is padded for comfort and has a 5-point safety harness. The seats and leg rest do adjust easily and separately to fit the needs of a child. Strollers are usually not that easy to lift. If you have to carry them up the stairs or anywhere else, you will like this model. It can fold, which really comes in handy for traveling, and has a side handle for carrying. It folds simply like an umbrella stroller, but it is important to know that it is really sturdier. The canopy does not fold completely to offer a full sun cover. It gives enough sun block, but in case you need full protection, you might want to buy an additional weather shield. In order for the stroller to break, you have to push the lock on all three of the back wheels, but that should not be that big of a deal. It weighs 34.5 pounds, which is not little, but it is far less than some other twin strollers. The Chicco Echo Twin Stroller has a design that is practical and compact that offers comfort for children and functionality for parents. The side by side design folds and can be easily carried, which makes them perfect for families that live an active life. The dual canopies adjust individually and have a zipper at the rear end to provide airflow. Seats recline independently in 4-position. The weight limit is 40 pounds per seat, which means that it will last until your children are old enough not to require a stroller. It has two separate mesh basket in the back that can store up to 5 pounds of weight, but once the seats are in an upright position, a lot can fit into these baskets. It is recommended for children who are at least 6 month old. The fact that it is 20-inch wide makes them easy to handle, and they fit into elevators and through doors easily. They are also quite easy to maneuver because the front wheels swivel. It is budget friendly, but unfortunately parents expected the seats to fold completely for the cozy naps that their children like to take during the rides outside. It offers all the basic features that you need in a stroller with some basic additions like a cup holder that is found on the side. It can be easily removed for cleaning, and it fits all standard-sized bottles. Need some stroller cleaning tips? Visit this link to see how to keep your stroller clean. It requires a 39 angle degree in order for the stroller to tip, which is a really good angle for a stroller. Some assembly is required for this model once you get it, but it can be done under 20 minutes. Side by side design makes it perfect for folding and carrying, which is the purpose of this Italian design. I hope this Chicco Echo Twin Stroller Review was helpful, and I hope you will find the perfect stroller for your little loved ones.